Most bloggers know the significance of WordPress that provides an excellent platform for blogging purpose. WordPress is a world class CMS (content management system) because it is open source and is readily available. 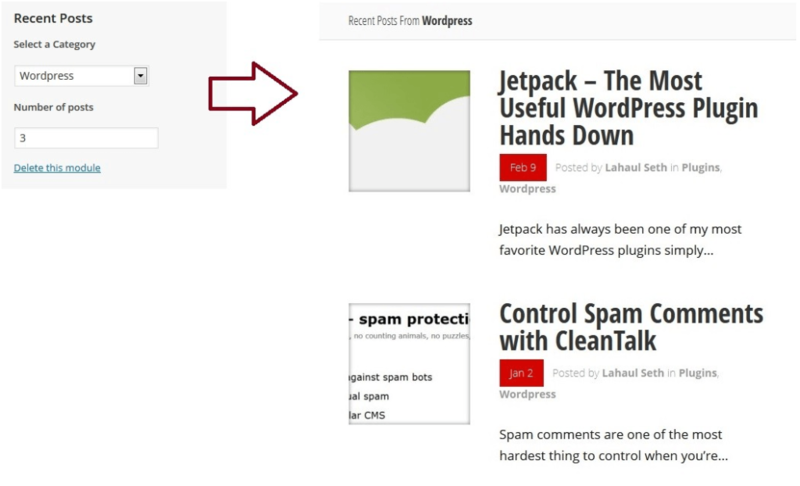 You can select from the numerous themes for blogging, provided in WordPress. The number is so high that the WordPress theme category has been incorporated to remove the complexity of searching. There is a Modern Theme category also, which renders with the magazine layout. The theme is best for people who want to put the focus on the content in a modern way. 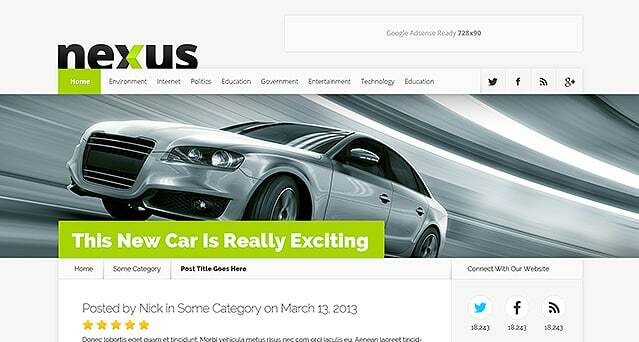 Nexus is a great premium WordPress theme that is available for users. Elegant Themes issued the Nexus towards the end of the year 2013. The Nexus theme is very significant as it allows the user to highlight the content of the blog or the website in various ways to allure the readers. The theme offers a great deal of the inbuilt features. Hence, the plugins are not required. In case you are interested in the Elegant themes, then Nexus is a good choice for online registration. The Nexus utilizes the advanced CSS media queries that activate various layout settings depending upon the screen size of the user. Hence, it becomes easy for users to read your content easily while visiting your site as they do not have to scroll or zoom in the screen of the phone. Just like any other Elegant Themes, Nexus offers the excellent way to manage the appearance and the experience of your website, eliminating the need to change the code of the site. The user can handle advertisements, SEO, color, layout adjustments, and operation of a particular function when needed. These things can easily be managed from the ePanel option panel. Nexus offers a user-friendly homepage builder that allows the user to add four distinct content widgets. These widgets can be added anytime during the process. These widgets are simple, easy to use and provide quick functionality. The user is required to select the categories that he wants to exhibit in the blog or website. We are providing you with the “Homepage Settings” screenshot. The latest or most recent posts can be quickly added with the help of two different options. 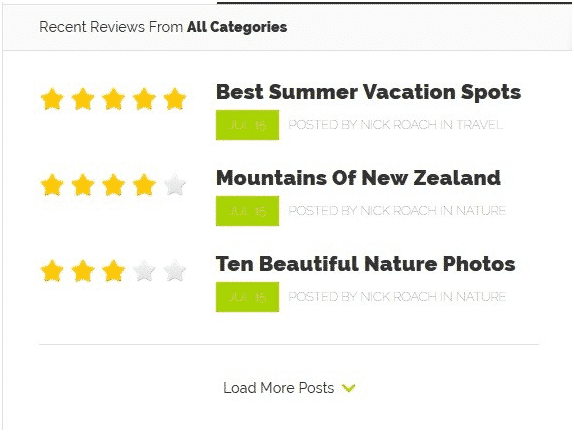 There is an All Category section that renders with the functionality to show every recent post from every category. The user can also select the various posts to be displayed. Similarly, the single category renders the user with the most recent or latest posts from any particular category. However, the user can add any number of posts. The latest posts from the different categories provide the facility to different posts from the various categories at the same time. This is same as tabbed content working. You do not need to install plugins. Shortcodes ultimately do it all for you. 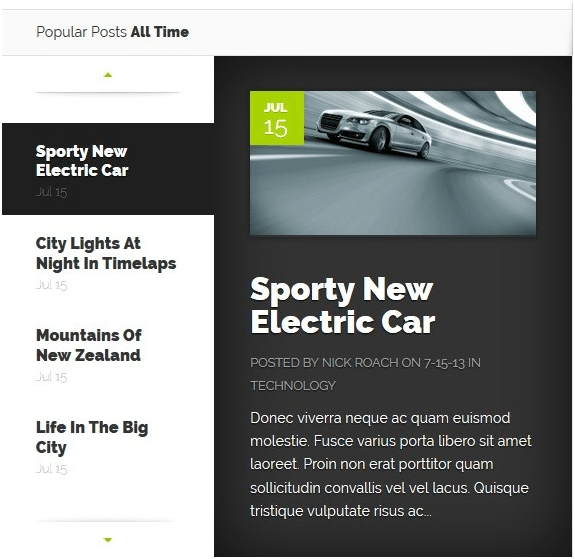 Nexus theme also includes some popular posts widget that has jQuery effects. The number of homepage posts to be displayed can be managed easily along with the time duration of the popular posts. This is amazing for those posts that get many comments and lead to great social networking. Nexus gives a very professional and pleasant look to the posts that you display. Below is the screenshot to show you as an example. To flaunt your most famous and admired posts, there is a fantastic featured post area integrated with the theme. This area features great visual effects that can change when you take the cursor to there. This helps in catching the attention of the user. We are providing you with a screenshot below for your perusal. There are two types of video formats that are supported by the theme: one being the standard and other the video. With this, a video can be displayed in the post. 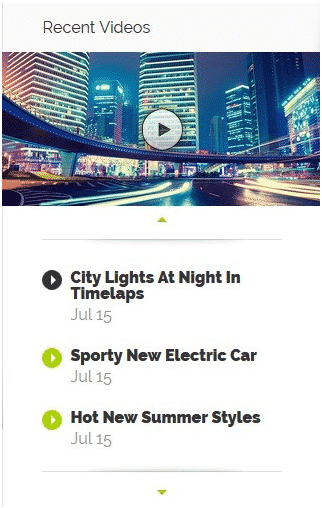 The videos added are shown in a unique way giving your site an interesting outlook. With the help of this widget, you can add videos from your video or media folder directly. An interesting feature is that the widget allows you to link the videos to the YouTube videos that are moved to the media folders. You can select from the wide range of page templates that are provided by the theme Nexus. 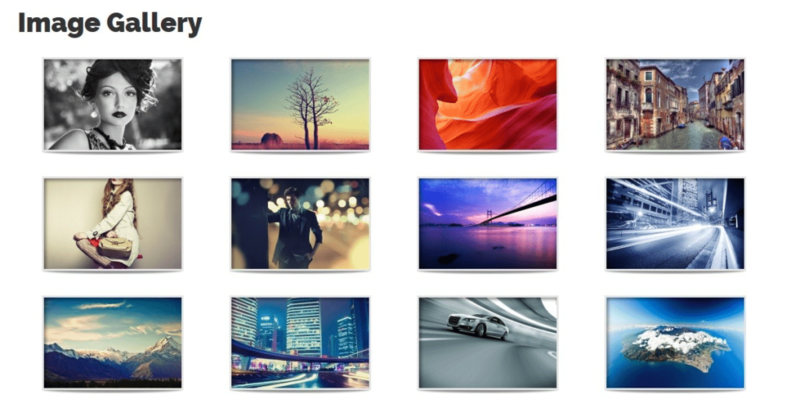 Out of the amazing collection, image gallery and portfolio templates are the most magnificent and splendid templates. With the help of the portfolio template, you can showcase yours and your company’s best work till date. You are even able to share your success stories with your clients and other visitors. All this can be displayed in three different sizes ranging from large, medium and small depending on your requirement. You these as per the requirement of your website to make your website more user-friendly and interactive. There are many great features provided with the theme, but the usability of any theme is determined by its back end processes. An incredibly simple and easy to use theme! The set up of the theme can be easily managed through ePanel without much technical knowledge. Once the theme is installed, the settings of the ePanel can be altered to suit your needs and to make your tasks easy. Likewise, you can change the view of your website too! Click on Appearance and thereby go to the various Nexus Theme Options that are available in the sidebar of the WordPress Dashboard. There is an option to add the header image, logo of your site at the ePanel. You may select from the wide range of choices provided. For enabling or disabling any layout, go to the top side of the ePanel and click on the tab of ““Featured Posts”. Any function can be enabled or disabled in this section. From here, you can select the category you wish to choose. 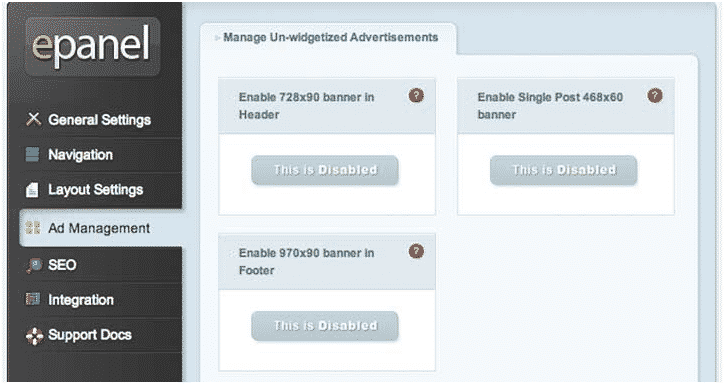 To manage your Ads, go the section of Ad Management in ePanel. There are various options to select from. From there, choose the banner or ad that you wish to display and click on the save button. The best part of the theme is the integration of the tracking codes that are offered by the Google Analytics service. You even have the option to add the code to the theme options that is given in the Google Analytics account. After, the code is added, integrate it for the smooth application. The pricing scheme offered is unique. One may be surprised that the cost of the theme is $69, but many might not be aware that this whooping amount comprises of all the themes that are offered by the amazing Elegant Theme. Isn’t, the BEST DEAL that YOU MAY HAVE COME ACROSS! 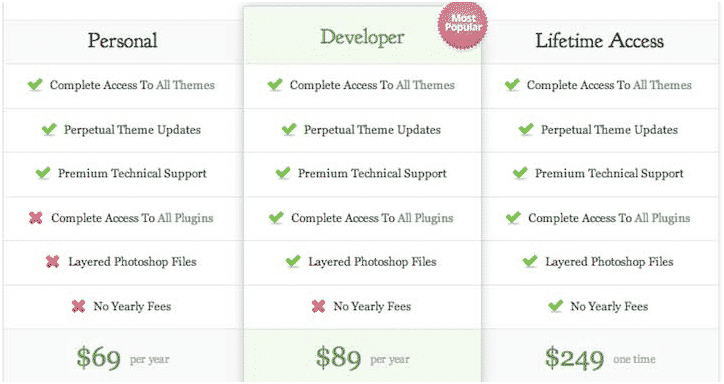 In Just $69, you have the privilege of choosing from more than 87 themes. There are three pricing plans available for the Nexus Theme namely: Personal, Developer and Lifetime Access. The price of Personal is $69; Developer is $89 and Lifetime is $249. 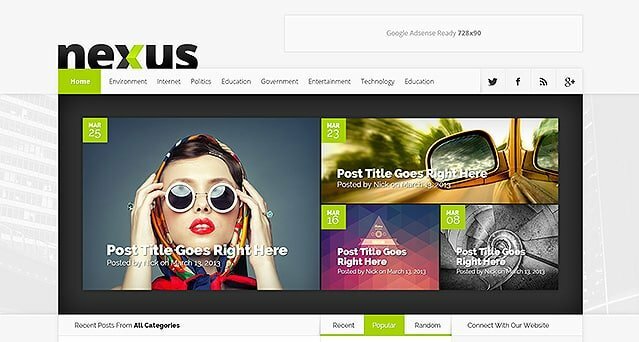 Nexus theme is the best option if you are looking for an amazing magazine theme that is user-friendly and attractive loaded with some amazing features. The documentation is in good detail and helps you to learn many new things about the excellent themes provided. Without any doubt in mind, try this and you surely will not be disappointed.